Gesso prepares surfaces for painting and other applications. Priming a surface with gesso is highly recommended for all surfaces. It prevents paint from being absorbed into the surface, therefore reducing the amount of paint consumed. 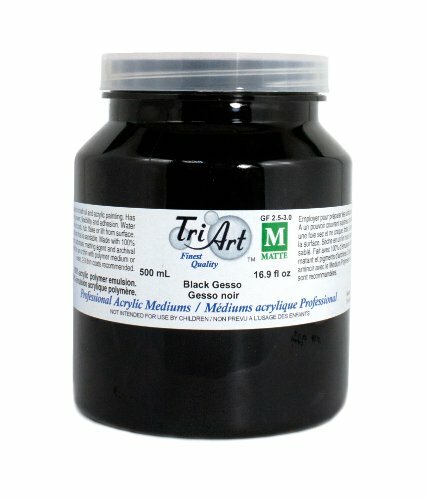 All Tri-Art Gesso's are made with 100% acrylic and contain calcium carbonate for the best strength, adhesion, coverage and flexibility. Will not crack, rub, flake or lift from the substrate. Acrylic Pouring Oil with Yorker Cap & Pipette, 100% Pure Silicone, Perfect for Artists, 4oz, Made in The USA!